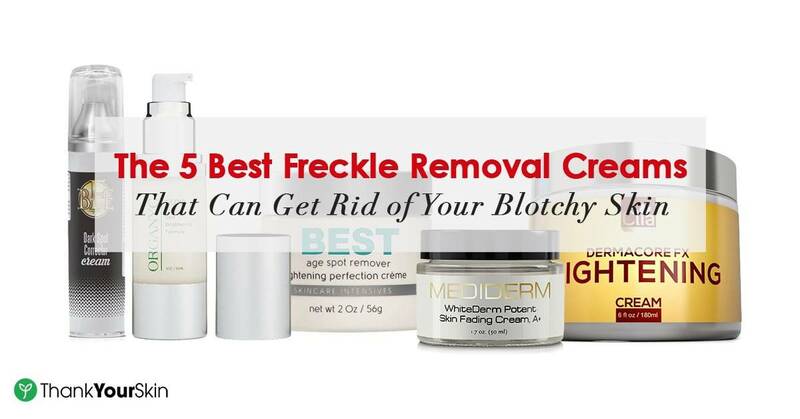 In our commitment to help you achieve the clearer, fairer and smoother skin you’ve always been dreaming of, we decided to review more than 15 different freckle removal creams to find out which of them can actually deliver. The products were carefully selected and reviewed based on ingredients, formulations and their intended benefits for the skin. Clinicians Complex 6% Skin Bleaching Cream contains three great ingredients to fight freckles and hyperpigmentation issues. It’s infused with vitamins, too.M&M Best Age Spot Remover is the only product on our list that contains hydroquinone. Although it has a chemical agent, the cream is actually FDA approved and tested.Its 2% hydroquinone content is safe to use that you can even buy it without a prescription. Because it contains a chemical ingredient, you have to consider it’s scent. 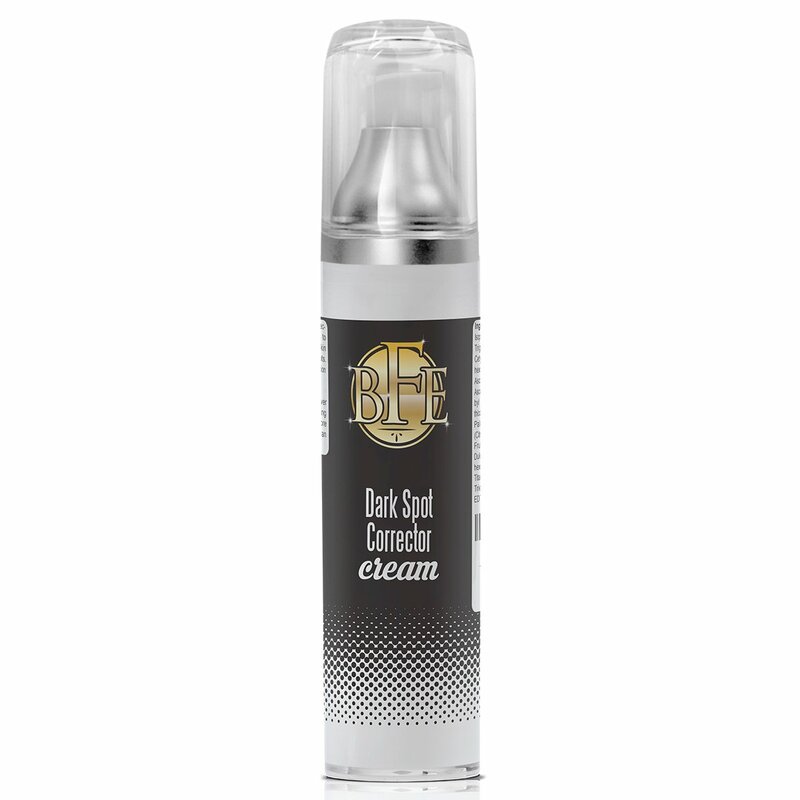 Beauty Facial Extreme Dark Spot Corrector Cream contains botanical extracts to decrease your melanin production. Because it doesn’t have parabens or even sulfates, using this product even on your sensitive skin can still yield visible results. Organyc Skin Whitening Cream has natural ingredients, too. Compared with Beauty Facial Extreme, this product takes pride in its three powerhouse ingredients for freckles- Resveratrol, Alpha Arbutin, and Alphaplor. Aside from its natural content, we also like that it’s cruelty-free. It also has a clinical study to provide truth to its claim. Clinique Even Better Clinical Dark Spot Corrector is one the expensive side, but its benefits are sure worth it. This corrector features the ability to gently exfoliate the skin while hydrating it. Now, read on as we share with you the best freckle removal cream you can get your hands on today. 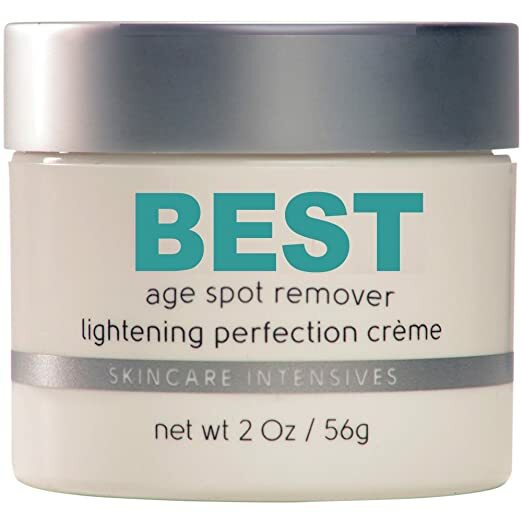 If you are looking for a great freckle removal cream, you should find something that contains great ingredients. Clinicians Complex 6% Skin Bleaching Cream doesn’t have just one; it actually has 3 amazing ingredients. It contains Kojic Acid, Bearberry extract and hydroquinone. By now, you should know that these three products work really well in slowing down the skin’s melanin production. On top of these ingredients, you also get vitamins C and E.
The product is a bit potent so I don’t really recommend it for people who have eczema or psoriasis. If you have an active acne flare-up, you might want to skip using this product until your skin has healed well. Containing a generous 56g cream, M&M Best Age Spot Remover is formulated to diminish your freckles, rosacea, and age spots. It doesn't just eliminate dark spots, but it also works to correct and even out your skin tone, too. Although it has 2% hydroquinone, the product is actually FDA approved and lab tested to assure your skin’s safety against sensitivity reactions. Aside from hydroquinone, it also has botanical and natural plant extracts. The combination of chemical and natural ingredients make the product strong but safe enough for your freckles. You can even buy it without a prescription despite its hydroquinone content. To get the best out of this cream, it’s recommended to use the product twice a day. It will also help if you continuously use it to your daily routine. A lot of people who used the cream liked that it can actually deliver results. Some of them even reported repurchasing the product. The cream has a mild scent that also tends to go away real quick. As for texture, it’s lightweight and not greasy. Its hydroquinone content is something you have to consider. Without hydroquinone and parabens, this product contains natural ingredients to address your freckles, dark spots, and even mild acne scars. Because of its natural contents, the cream can work well on almost all skin types. It claims to reduce melanin synthesis by as much as 80%. As a result, you get a clearer, brighter and more hydrated skin. This cream has a rich ascorbic content. It has both lemon and orange fruit extract in addition to its sodium ascorbyl phosphate. Most people who have used the cream saw visible results in just a couple of weeks. There are also positive reviews on the effectiveness of the product even when used on sensitive skin. The cream can be considered a bit expensive. However, considering its rich botanical extract content, it’s not surprising to find a lot of reviewers willing to repurchase. 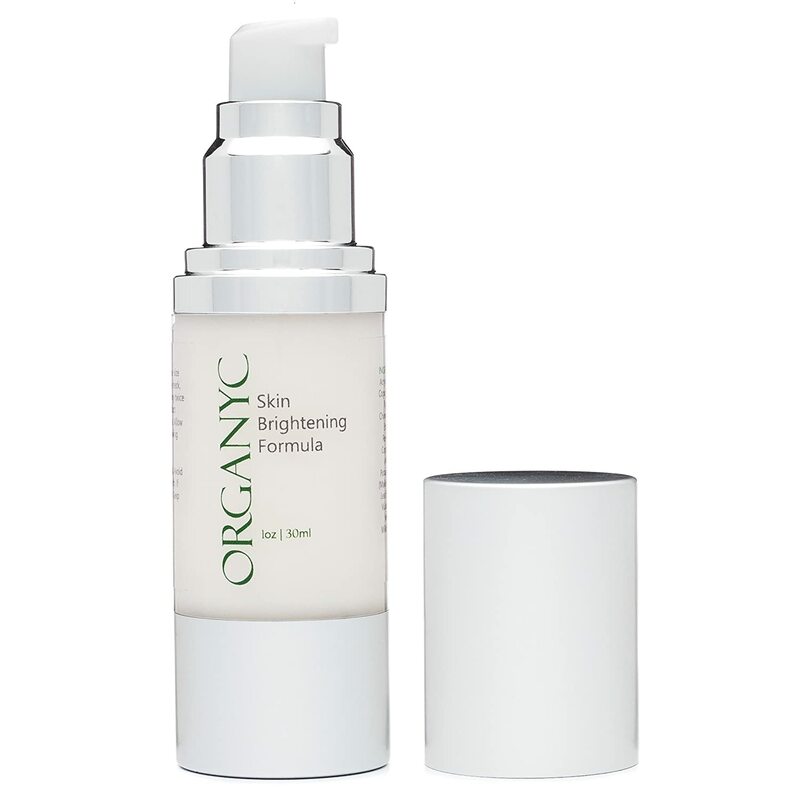 Organyc Skin Whitening Cream, as the name implies, relies more on safe ingredients to diminish your freckles. Instead of using hydroquinone, it has three main components to end your skin issue. It has Alpha Arbutin that works well in inhibiting melanin production. It also has resveratrol and Alphaplor which both have the same effects on your skin. Aside from these potent ingredients, the cream also has Jojoba seed oil, green tea and peppermint extracts. This long list of natural ingredients makes the product safe to use on sensitive skin. By study, the cream was able to deliver results in just 4 weeks. Actual people who have used the product are in agreement with the study’s results. The cream is hydrating without the sticky feeling. It doesn’t leave the skin oily, too. Other than addressing your freckles, the product can also provide some of your skin’s nourishment needs. It’s also vegan and isn’t tested on animals. Clinique Even Better Clinical Dark Spot Corrector comes in this slim bottle with pump. It utilizes the power of Ascorbyl Glucoside, which is supposed to be a more stable form of vitamin C, in brightening the skin and minimizing discolorations. Apart from that, it also contains a natural skin lightener in the form of Mulberry extract. And to make sure your freckles get less noticeable, this corrector also exfoliates the top most layer of your skin with its salicylic acid and grapefruit peel extract. This is, apparently, not a cream. It’s more of like a serum, technically. However, because it does a great job in fading pesky brown spots, I think it earns a spot here, too. It’s a good break if you’re tired of creams or if you just can’t tolerate the grease and stickiness that comes with most of them. Now, back to the product.The corrector has a hydrating effect that doesn’t feel icky. It can go well under your sunscreen without any heavy feeling. Freckles aren’t limited to your face. As a matter of fact, they can develop on any area of your body that’s exposed to direct sunlight. In theory, people with fair skin have lesser amount of melanin than dark skinned people. This melanin is what makes us look tan. The more your skin and melanin are exposed to the sun, the darker they get. However, because fair skinned people have less melanin, instead of getting an even tan, they develop golden to brown spots on their skin instead. Aside from sunlight, the tendency to develop freckles is also genetic in nature. People who have melanocortin-1-receptor genes are more at risk for freckles than those who don’t. In general, there are two main types of freckles. Ephelides are considered the most common type of freckles, particularly among fair-skinned people and those who have red or brown hair. It appears more during the summer months where sun exposure is high. This type of freckle tends to go away once you lessen your UV exposure. In contrast, ephelides become darker as you get more sun exposure. They are generally flat in appearance and measure 1 to 5 millimeters in size. Lentigines refer to the darker types of freckles. They are usually dark brown to black in color. Unlike ephelides, lentigines don’t fade away even after you limit your sun exposure. This type of freckle is most commonly seen among older people. Simple lentigines are typically elongated or shaped like a club. Solar lentigines are commonly referred to as age spots. Do Freckle Removal Creams Work? There are a lot of ways to remove or lessen freckles. Compared with microdermabrasion, laser and chemical peels, freckle removal creams are a lot more accessible and affordable. This type of cream acts on freckles by blocking your skin’s melanin production. With lesser melanin, there’ll be a lesser chance for spots to form. Aside from this action, freckle removal creams help with exfoliation, too. It aids in removing the accumulated dead cells from your skin’s top most layer. Depending on your skin type as well as the active ingredients in your product, freckle removal creams can deliver. However, in setting expectations, it’s wise if you can be realistic. While there are creams that can show visible results in as early as your first week of use, there are also creams that can take weeks before you see any positive results. Most freckle removal creams you can buy over the counter contain at least 2% hydroquinone. This percentage is actually potent enough to effectively inhibit melanin formation. Because it’s a chemical depigmenting agent, you should be careful when using any product that contains hydroquinone on your skin. If you feel you’ll benefit from it, we strongly suggest doing a sensitivity test first. Kojic acid is another good depigmenting agent. However, because it’s a fungal metabolite, it’s considered to be a safer and more natural approach to freckles than hydroquinone. Another natural ingredient you can consider for your freckles is vitamin C. It helps lessen the pigments of your dark spots to make them less noticeable. Temporary solutions to stubborn skin issues like freckles can only make you feel more frustrated about them. Permanent solutions like peelings and laser procedures, however, aren’t only painful but costly as well. Because we know how annoying freckles can be, we’ve researched about how the best freckle removal cream can help you enjoy your skin better. Among the five products on our list, we find Clinicians Complex 6% Skin Bleaching Cream as the most effective cream. With its potent ingredients that have been recommended by professionals, you are sure to get noticeably clearer and fairer skin. I had hyperpigmentation AND blotchy skin – and really feel the Somaluxe Moisturizer is starting to make a difference. I am a 37 year old woman and have been very unhappy with my skin for quite awhile now. I have continued with daily use of the Somaluxe Moisturizer and my skin is looking so much brighter and fresher, I’ve even had afew compliments telling me I look healthier and fresh. My hyperpigmentation has started to break up a little bit, giving me little dotted about patches of normal skin tone, so I’m hoping afew more weeks down the line that it will of more or less cleared up. Fingers crossed.